Its a good idea to optimize images on your blog as large sized images can considerably slowdown your blog pages thus degrading the performance. 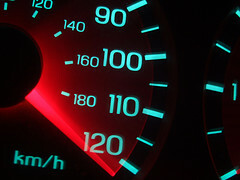 Your website’s performance or speed is one of the factors that decides your ranking in search engines. Website that loads quickly also improves user experience and helps build loyal readership. Improved site speed is also a good SEO practice. Google as well as Yahoo! suggest in their Performance Best Practices that properly formatting and compressing images can save many bytes of data thus improving the page loading speed. In this article, we will discuss some of the best tools to optimize images that can potentially speed up your blog. If you are on WordPress, this is the best tool to optimize images. Simply install the WP Smush.it plugin and you are done. All your images will automatically get optimized behind the scenes. The plugin performs lossless image optimization, so there is no loss of quality. You can also optimize existing images through options in the WordPress Media Library. PunyPNG is a free website optimization tool that dramatically reduces the file size of your images without any loss of quality. It supports PNG, JPG, GIF, Animated GIF file types. Web Resizer is a free web based tool that allows you to resize and optimize photos for web or email. It also supports many other options like cropping, sharpening, rotating, contrast control and more. Shrink O’Matic is a Adobe AIR based desktop application that you can use to batch resize your images. Set up the options and simply drag and drop your image files into Shrink O’Matic and it gives you nicely resized images. Alternatively, simply install Google’s PageSpeed extension on your Firefox browser. You can download the optimized versions of your images from PageSpeed suggestions. Here are some more tools to consider as recommended by Google: For JPEG, use jpegtran or jpegoptim (available on Linux only; run with the --strip-all option). For PNG, use OptiPNG or PNGOUT. In addition, you can as well use Photoshop or its free and open source alternative GIMP. To further speed up your blog and improve performance, consider serving your images from a CDN or a cookieless domain. [*] Thanks to Amy for suggesting the Web Resizer tool to optimize images. Ohh…thanks..I didnt knew that their are website which reduces the image size also. I always used paint.net or photoshop for the same. Thanks again. My blog is moving exceptionally slow. I don’t know if it’s this slow 4g internet or my site. Im going to install the SMush it plugin and hope it works..